Emotional intelligence is becoming quite a big deal in the hiring realm—particularly as employers are looking for candidates who do not just have specific related skills, but are also able to understand, communicate and be a team player. With diversity, social progress and sustainability becoming even more important goals for companies, there is much evidence that job seekers will want to highlight emotional intelligence. Before professionals can even start discussing your emotional intelligence—or improving it—many will have to learn what this term actually means. While most people understand what emotions are and what intelligence means, emotional intelligence is a little bit more complex. Similar to IQ, emotional intelligence (also known as EQ) refers to a person’s ability to work productively with person-to-person emotions. 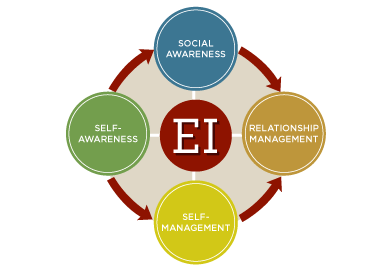 Specifically, EQ defines a person’s ability to perceive, manage, understand and reason with emotions. This is particularly important in the workplace if a professional is expected to work on team projects, manage others or identify the needs of consumers with sensitivity. If you want to show how you are great at perceiving emotions, it can help to describe specific accomplishments in your career when you used this skill. For instance, if you have ever conducted consumer research or made workplace improvements that quantifiably shifted employee satisfaction, you can suggest that you—in fact—can pick up emotional cues and tend to them before they create issues within a company. Highlighting the fact that you can manage emotions is more than just saying, “I can keep my feelings under control.” Instead, you have to show how you have been able to mitigate stress and respond well to emotionally heavy circumstances. This may be described on a resume by revealing the types of deadlines you have been able to manage, how you improved productivity by a certain percentage or rose to a challenge to meet a specific sales quota. All of these instances may not initially scream “emotional,” but they are connected to high-stress scenarios and reveal your ability to keep your cool within them. Understanding emotions may seem like a silly thing to put on a resume, especially since it sounds like an innate human quality. However, employers may be interested in how you understand emotions. While this area of EQ is usually discussed during interviews, you may be able to show your aptitude for emotional understanding through certain job skills used in the past. If you have been involved with conflict resolution initiatives, worked in human resources or have taken on the responsibility of firing other employees, you can certainly hint toward your strength in emotional comprehension. It is one thing to understand your emotional intelligence, but it is quite another challenge to put your EQ on paper. Instead of troubling yourself with finding a way to appropriately fit these skills in your resume or cover letter, turn to Chic Resumes for assistance. Our professional resume writers take time to get to know your work history, your career goals and the specific ways you can benefit future employers. With this insight, our team is able to craft a customized, informative and polished resume—and cover letter—to improve your job search. Start putting your emotional intelligence to work and contact Chic Resumes to get it put on paper! Call (803) 831-7444 or email resumewriting@grammarchic.net for more information. For Mentors: Where Does Mentoring Belong on a Resume? The Weight of Resume Paper: What Should You Print On? How Much Information is Too Much on Your Resume? Grammar Chic provides high-quality resume writing services for professionals at all career levels. Contact us today to schedule your consultation.